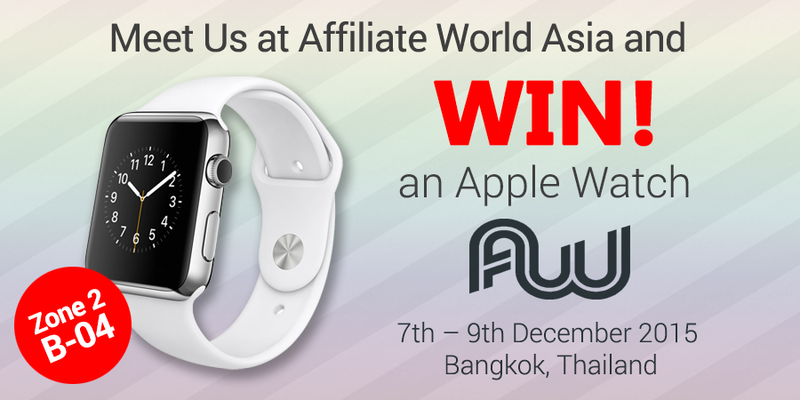 Meet us at Affiliate World Asia and win Apple Watch! Propeller Ads will be attending and exhibiting at the Affiliate World Asia conference in Bangkok, Thailand, on Dec. 7-9. Affiliate World Asia is the most exciting new event for affiliate marketing experts in Asia. Wouldn’t it be nice to bring home something special from an event like that? Meet Propeller Ads at this event and get a chance to win an Apple Watch! But it’s not only the Apple Watch that we have in store for you. Propeller Ads is launching a new advanced Self-Serve Advertising Platform soon. Now buying traffic from us becomes even easier! Show up at our table #B-04 in Zone 2 and have a quick chat with our representatives to find out what opportunities our advertising platform will open for your business. To book a face-to-face meeting with our representatives in advance please follow this link. For tickets, schedule and other inquiries, please visit AWA official website.